When I think of camping, I think of fresh and dewy morning air, warm sun rays which tickle my skin and infinite, azure skies. When I actually go camping, there have been times where I could only think of itchy mosquito bites, impossible campfires and stinky clothes. I'm not a natural born outdoorsman and things can get pretty Lord of the Flies pretty fast when I'm out of my element. Why is camping so hard? Beyond the idyllic ease of camping that people like me dream up, the beauty of camping is the challenge that comes with it. There's a joyful thrill to getting out of our concrete-slabbed cities and having a visceral, wild experience. What makes the difference is a little courage and a little knowledge. Luckily for us, the online camping community is a vibrant one, and it's made up of wonderful pros who share their camping know-how. Here are a few golden nuggets of wisdom to help you hack some common camping blunders. I once had a roommate who insisted we sage the apartment with a smudge stick whenever things weren't going our way. This little ritual is said to brighten your spirits, dispel bad karma and change your luck. This all seemed a little far-fetched to me, until I found out that smudge sticks could deter bugs while camping. If you are particularly susceptible to mosquitos or just sick of bugs crashing your camping outing in general, bring along a few sage smudge sticks or some home-grown sage on your next trip. While sitting by the fire, just toss some sticks into the pit and let the pleasant, bug-detering scent float through the air. Now that you've got some sage to save you from pesky flying bugs, you need some tea tree oil for the blood-sucking ones. Ticks love to have a good, warm meal by latching on to unsuspecting campers, and they're removal can literally be a pain, not to mention the possibility for disease transfer in certain regions. Avoid the tweezers and the gross realization that something has its head burrowed into your skin by applying some tea tree oil on a daily basis. You can find tea tree oil at most natural health stores. Simply mix one part concentrate with two parts water and put in a spray bottle for easy application. If you're like me, food is a big part of any holiday, even if you are camping. While the beauty of camping is in its rugged and minimalistic elements, let's face it: proper flavor is not something you want to leave at home. 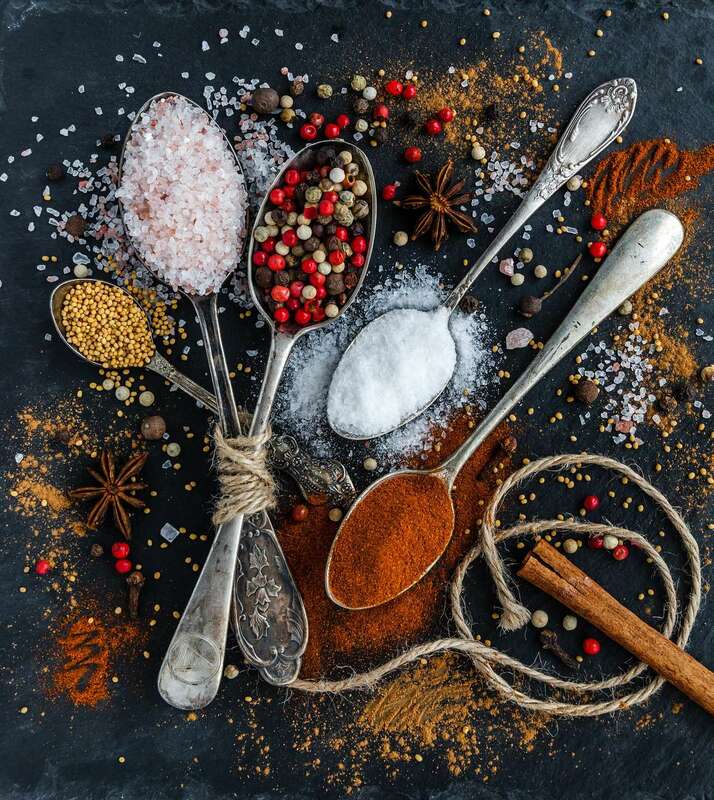 Before you head out in your campervan, be sure to think through a few meals that you'll have on the road and stock up on some of those key spices you'll need to make those meals taste great. A popular hack that many savvy campers use is to gather up some old Tic Tac containers and use them for as portable spice storage. It's a great idea and one you should most definitely use to make your next adventure a little more delicious. I like hiking, I like sweating, I like camping; but that doesn't mean I like smelling like a barnyard animal or to have a cloud of campfire smoke follow me wherever I go. When it comes to having rugged adventures, it just seems like smelling halfway decent doesn't go along. One couldn't simply have it all...without this hack. Before your trip, prepare to amaze yourself by making a portable washing machine. All you'll need is a 5 gallon bucket with a lid and a toilet plunger. Simply cut a plunger handle-sized hole in the lid of the bucket and you're ready to go. Next time your clothes are too smelly to stand, toss them into your bucket with some hot water, detergent and the plunger. Then simply fit the lid over the plunger handle, fasten and get pumping. I've been known to run into trouble even in the most sure-fire of situations, so little hacks like this one are important in any trip I take. It goes without saying, but let's just emphasise the point: keys are important things to take care of on any road trip. For a fail-safe method to keep your keys off the murky creekbed you will undoubtedly dip in on your trip, make a quirky cork keychain to optimise your keys' float-ability. This is also a fun craft, as the first task is uncorking a bottle of wine. After you pour yourself a glass, grab a key ring and a screw hook (which you can find at your local craft store). Use some pliers to close the open screw hook with the key ring attached. Then, simply screw this into an end of your wine cork. Want a great video tutorial to show you how to jazz your keychain up with some beads? Check it out. 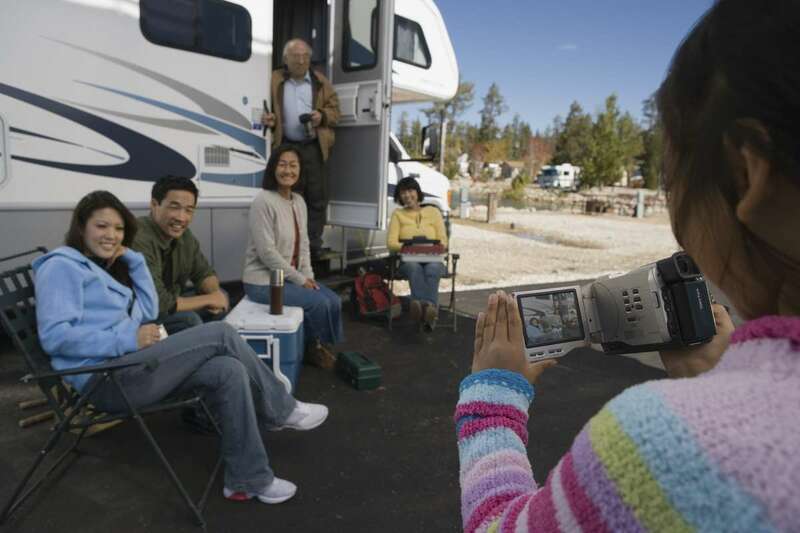 The camping community is a great one, and one of the best ways to learn about local, hidden troves of travellers' delights and other great camping tips like these is to get to know your neighbours. Invite them over to your campfire for a beer, or better yet, try your hand at a local dish or tradition–that way you can explore the local culture, make fools of yourselves and make new friends all at the same time. Travelling in Australia? Try your hand at a classic, campside damper. Adventuring in New Zealand? See if your camper neighbours want to split a rafting tour with your group. This tip is, of course, a no-brainer, but the best way to strike that perfect balance between struggling for survival in the wild and luxury cruising in a stuffy cruiser is most definitely to rent a campervan. Do you want to travel, kitchen intact? Do you crave the freedom to park it and sleep at a moment's notice? Check out these wonderful getaway machines, find the perfect match for your next holiday and get ready to put these new hacks to use!